No need to disassemble your PC in order to upgrade its performance. 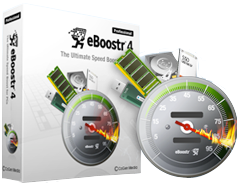 eBoostr gives your PC a noticeable performance boost without costly hardware upgrades. While new hardware can improve system performance it does not deal with what was making your system slow in the first place: inefficient data recall. eBoostr's innovative buffer technology and smart cache management ensures that your system's data recall is as efficient as possible. Just plug one or more flash memory drives, install eBoostr and say “Yes” to speed up your computer. 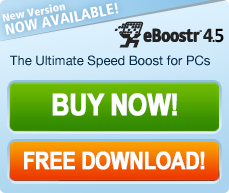 Upgrading a laptop is difficult and costly, but not with eBoostr. Notebook hard drives are slower than their desktop counterparts, thus they benefit even more from the use of flash memory with eBoostr and reduced hard drive activities. 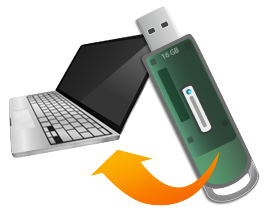 Avoid all the trouble of installing new hardware and benefit from the same results with a simple software and a common USB flash drive. So try eBoostr today and see what a difference only a few minutes can make.